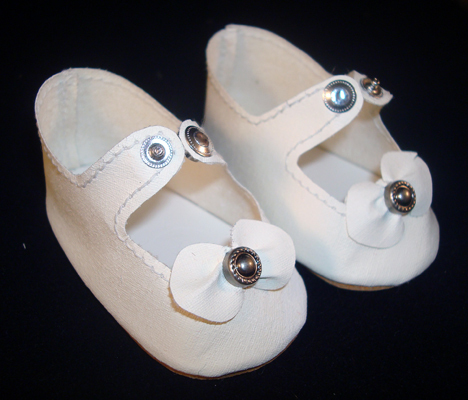 These are true oilcloth shoes accented with rayon or cotton ties. 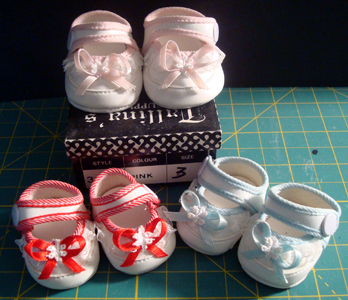 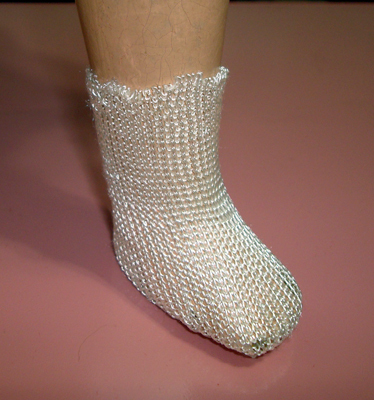 There are two sizes of Kewpie shoes, as the 11″ Kewpie with only jointed arms has larger feet than the 12″ Kewpie that is fully jointed. 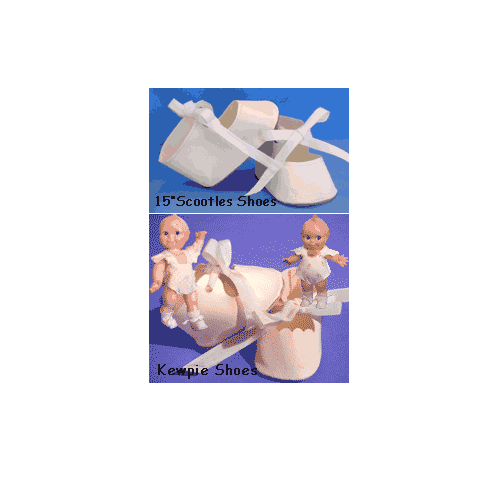 The 13″ Kewpie has sleep eyes.